Known here in Ontario as a Delta. I have also seen them called Xcalibur or Excalibur in the south. If anyone knows the origins of this hull, post up what you know. I'm trying to compile the as much info as possible. Early mold off an Allison bottom. Wide pad. Wouldn't turn properly. Critchfield molded from the Delta. His ladter boats finally would turn. Still looking for more info. If anyone has any details to add, please post them up. I've been racing this hull this season and so far it turns quite a bit better than the Voodoo I ran last year. Same motor, but now a short shaft. Boat might be 100lbs lighter too. Perhaps those factors contribute to the better cornering. Last edited by hydrospeed77; 08-09-2018 at 08:14 AM. Thanks Jim! I just did a quick search of HPBC.ca and found this thread where you and others discuss Dunnville 1986 and the Delta boats. Appreciated. thanks. Meanwhile, George spent this time working with Bob Sanders in a garage across the street from the plant on his next designs. 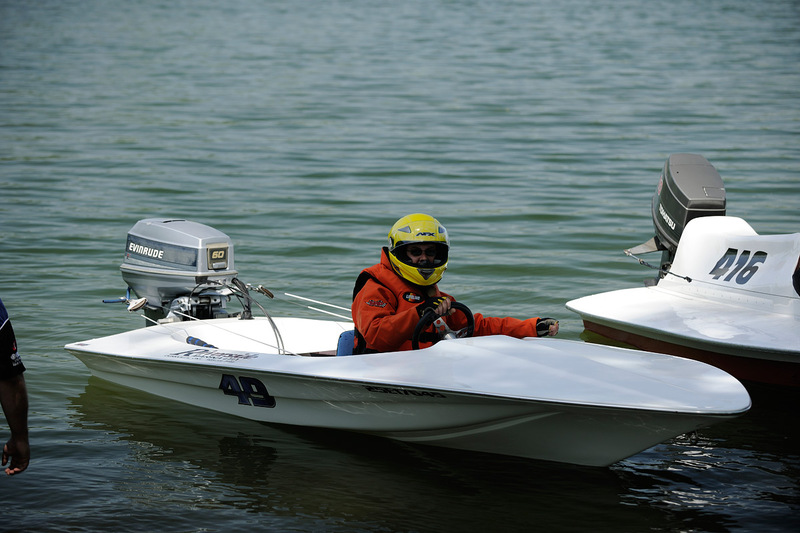 Bob was from Louisiana, raced the 14’ V hull and had spent time at the factory trying to improve the 14’ V hull. It was during this time that George and Bob developed the last high performance V bottom hull. A very light weight racing 13’ V hull that would take advantage of OMC’s new three cylinder “Stinger” engine. The hull was incredibly fast and only one complete boat is known to still exist today. Could that boat mentioned be the Delta race boat? The article also references a company name: "Delta Marine".